So, I wanted to share some of the subscription services that I absolutely love in my life. Several of these links are affiliate links, because I’m a solopreneur and supporting my family – so why not?! Now, I wouldn’t recommend anything that I haven’t already been using for a while and don’t absolutely love the benefit that I get. I hate shopping for clothes. I want to be trendy, within my own casual style, but I don’t want to spend all the time keeping up with things and figuring out where to find what I want. Also, I’m currently sporting a plus size and that can be hard to find at times. So, I gave Stitch Fix a shot about a year ago. I really love it. I put in my personality, what I like, what I don’t like, what I want, etc and I have a stylist that delivers. My last request was telling my stylist that I have softball season coming up and I’ll be sitting out in the stands on really chilly days so some casual layers would be great. And, that’s exactly what I got! I love it so much that I got a box for both of my girls for Christmas! They absolutely loved it and I loved the clothes and styles they got for them. They are on a quarterly schedule so their next box will be coming in a few days. I can return what I don’t like and ask for an exchange on anything that doesn’t fit. The only crazy thing is that you get a discount if you purchase all the items in your box, so it might actually be cheaper to keep an item you don’t want to get that discount. That drives this accountant a little crazy, but all-in-all, I’ve taken out the shopping stress from my life and that makes me very happy. And, I’m building a wardrobe that I really like and enjoy! The only bad thing about 2U Laundry is that they aren’t nationwide yet. They are available in Atlanta and Charlotte. I get a huge bag that holds several loads of laundry. I stuff up all my dirty clothes. They pick up the bag, wash and fold the clothes, then drop them off at my house the next day. Guys – I don’t have to do laundry!! Well, I do because we can’t afford them for everything we have, but it is amazing. It’s just $35 for a large bag that is about 5 loads of laundry. And, when I say, we can’t afford them for everything, that’s because we have too many clothes in our house – including those that belong to the six-year-old that likes to do wardrobe changes a few times a DAY! If I ever get a handle on that, then I wouldn’t have an issue with 2U Laundry doing everything. Grocery delivery has been a staple subscription in my house for years. Actually, ever since we moved to our newer house (4+ years ago). My initial problem was that I didn’t know the layouts for the new grocery stores near me and it drove me crazy. I’m an accountant – I love my routines!! It drove me crazy that I’d lap the store 4 times looking for everything and still not be able to find that one item. In comes Instacart. I can create my list on my phone and have someone else do the shopping. When I started, I could shop at Publix, Kroger, Costco (without a membership card), and Whole Foods. Now, they have added CVS, Aldi, Sprouts, PetCo, Sur La Table, and Restaurant Depot. I’m not even sure what to do with all those options! The downside? You don’t get to pick your own produce, so fingers crossed they get it right. And, there tend to be at least a few replacements with each order that makes you wonder if it is really true or could they just not find the original items. Then, I think to myself, I didn’t have to go to the grocery store and I let it go. We have an adorable Samoyed, Luna, that is a complete joy in our laugh. She’s also just a year and a half and loves her toys. We are still at the stage where we are ripping those toys apart within a few days (or even a week or two) after getting them. So, BarkBox makes life easy for me. We get at least 2 toys in each box. I give one to Luna and stash the other one away. Once she has destroyed the first one, I can bring out the other one. By the time she is done with both, we get a new box! It makes life pretty easy – except for all the toy carcasses and stuffing all over the place. The box also comes with several treats which we bribe Luna with to get in her crate, go outside, or my youngest just gives them out freely as an attempt to train Luna. It’s all good. OK – I know all the other subscriptions were to make my home life easier, but Zirtual can make my home life or work life easier. I’ve been a customer for a few years and have a Virtual Assistant through Zirtual. I’ve absolutely loved it. I tell them what kind of support I need and they match me with someone. For almost 2 years, I had the same assistant that did about 5-6 hours a week helping me with all different aspects of QBOchat – social media, emailing people, newsletter prep, etc. I’m on the Startup plan which is 24 hours a month. Some drawbacks – If you don’t use your time in a month, you do lose it. The transition from my last VA to my new one was quite difficult, but they have made it right and I feel really good about things moving forward. This is totally work-related, but it has taken a lot of stress out of my social media content scheduling, which just gives me more time overall. 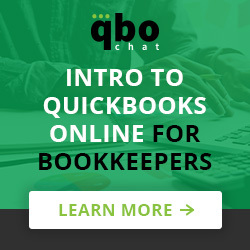 As you can, QBOchat has a ton of content and I just didn’t feel like I was sharing it all effectively. Enter MeedEdgar. I’m able to store all of my content into their library, set a schedule of when I want content to be shared and on what platform and MeetEdgar will randomly share that content for me. I always worried about how often I was sharing things – usually too little. And, I didn’t want it repeated on the exact same schedule. I wanted it more organic or more random. But, for some reason, that added more stress to me. With MeetEdgar, I’m able to let their system figure that out. Then, I’m able to review my history and see what content people actually engaged with and what people really didn’t care about. The crap gets deleted and I add new content as it is generated. Hopefully, that makes my audience more engaged and more willing to learn about my business and the services I provide. Ready To Get Your Subscriptions On? I know I am corny, but these are the 6 subscriptions I rely on to make life a little easier for me. As a solopreneur, you have to acknowledge you can’t do it all. But, it can still be hard to find ways to get help. I’m confident that these 6 subscriptions will make life easier for you as well. Give it a shot and let me know what you think!